It's been a week since I pulled the trigger and made the official decision to sign up for my very first marathon. And I'm only freaking out a little as you can tell from above. I survived the first Half, how hard could the other Half be? So here are the details. 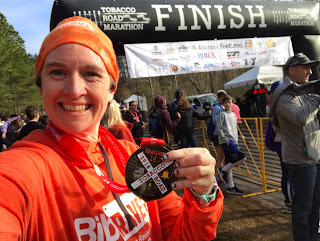 I will be running the Tobacco Road Marathon on March 17, 2019 in Cary, NC. I ran the Half this year (my current Half PR) and it was a great race, nice and flat with great support, so I decided to up the ante this year. Here's hoping that Tobacco Road is good to me 2 years in a row. Training will not officially start for my first marathon (gasp) until November, but in the meantime, I plan to keep myself pretty busy in obsessing over every little thing such as training plans, what should my time goal be, whether I should get a coach, how I should change my nutrition, what to wear, how to train, what changes do I need to make when training for this huge distance, should I keep racing while training, how will I do my longest runs in the middle of winter, how do I keep from getting injured, and last but not least (and actually probably not last) what will I eat immediately after? And of course, I will also but for now, the hardest part, registering, is done. Yup, I'm registered. Whew. Signing up is just step one, but it's a BIG one! Want to join me for moral support? 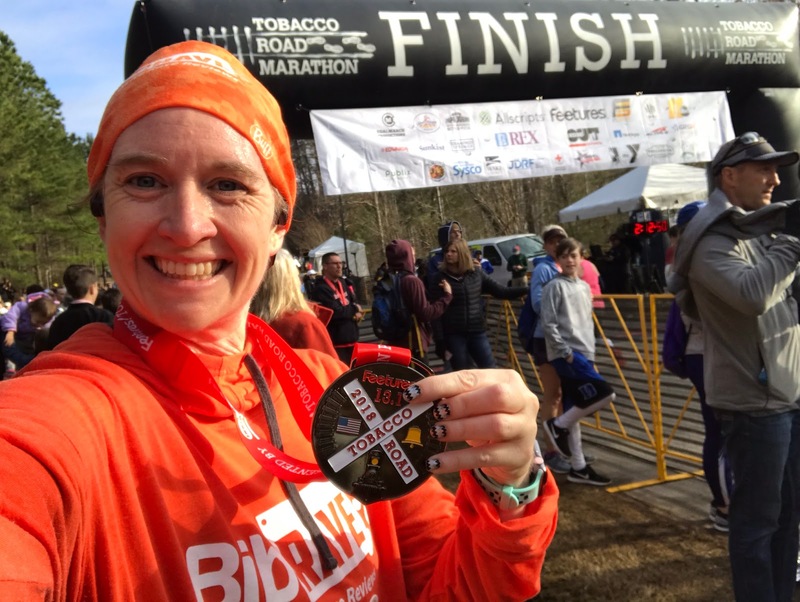 I have a sweet discount for either the Full or the Half Marathons - $20 off with code trmrave19 when you register at www.tobaccoroadmarathon.com. I could use all the support I can get! And feel free to pass on any marathon tips or tricks in the comments. Or die trying.... I mean, yeah, WE GOT THIS! Can't wait to watch you finish your first marathon!